blacklight tournament on *Saturday, 28-April-2018* at Ferris High School for the Relic Recovery game. Teams must register no later than Friday, 30-March-2018 and payment must be received by Friday, 13-April-2018. 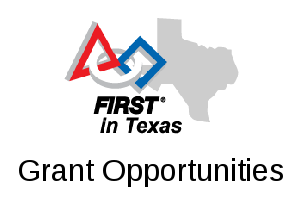 The registration costs cover food for all participants, cover other event expenses, and generate some fund-raising revenue for the hosting teams (FTC 11242, FTC 12645, & FTC 12650). Teams will compete in fast-paced qualification rounds in the morning, followed by alliance selection, and then elimination rounds in the afternoon. This will give FTC teams an additional chance to compete during the Relic Recovery season in a fun and exciting environment. The entire tournament will be held in blacklight at Ferris High School – 1025 E. 8th Street, Ferris, TX, 75125.